The Grand Bahama American Women's Club, an International affiliate of the General Federation of Women's Clubs, invites interested persons to our Luncheon on Monday, January 9th at Ruby Swiss Restaurant. There will be a Social Hour at 11:000 AM with a Noon luncheon, brief meeting and program. Freeport, Bahamas - Alcoholics Anonymous meetings in Grand Bahama have changed venues. Their have been held for over 30 years and are very important to those struggling with addiction and all are welcome to attend. Meetings in Grand Bahama have moved to the Salvation Army Church on W. Atlantic Dr. in downtown Freeport. 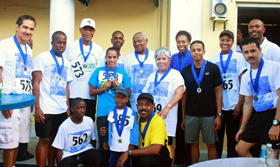 Nassau, Bahamas - Dozens of Toastmasters and friends of the organization took to the streets recently to encourage family fitness and raise awareness for the nonprofit educational organization that teaches public speaking and leadership skills through a worldwide network of clubs. On Saturday, April 13, TM Club 1600 hosted the 32nd annual Ed Carey Boil Fish Run sponsored by Scotiabank and Onit Systems. The Bahamas Red Cross, the Royal Bahamas Police Force and Curly's Restaurant provided much appreciated assistance. Nurses were also on hand to conduct free health screenings and blood pressure checks at the event. 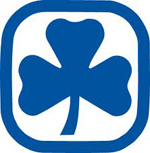 Nassau, Bahamas - The Bahamas Girl Guides Association will hold its Annual General Meeting on Saturday, November 17, 2012. To be held at the Ballroom at Government House, Mt. 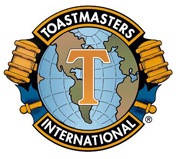 Fitzwilliam at 6:00 p.m.
Freeport, Grand Bahama Island - In 1969, before The Bahamas gained its independence, Club 1600 was chartered as the first Toastmasters Club in New Providence. Three years later, in 1972, Club 1425 was chartered in Grand Bahama. Both clubs endure to this day as the oldest Toastmasters Clubs in The Bahamas, and on August 1, 2012, Toastmasters Club 1425: Eagles will be celebrating 40 years of developing leaders with confidence and effective communication skills. Nassau, Bahamas - The country’s leading trauma centre, the Princess Margaret Hospital, will get 6 additional new operating theatres and the Intensive Care Unit will increase its bed count from 12 to 24 as further efforts are made to encourage patients to utilize outpatient health clinics. These statements coming from the Minister of Health, the Hon. Dr. Hubert Minnis as he addressed the Charter and Induction ceremony for Toastmasters Visionary Communicators, Club 1512075 on Thursday evening. The remarks came as he highlighted the “health bridge to the future” a part of his vision for a better Bahamas. Dr. Minnis revealed that although a new hospital is needed.. The Grand Bahama American Women's Club (GBAWC) sets its objectives to develop friendly spirit amongst its members who come from many countries, to cooperate with other organizations and to undertake, organize and promote activities in educational, literacy and the artistic pursuits. 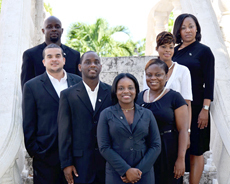 Nassau Bahamas - Want to improve your communication skills? Be more effective in meetings? Get your point across more concisely? Then visit the launch of a new Toastmasters Club: NPCC Visionary Communicators and learn how membership can help you succeed. When: April 8th 2010 at 7 p.m.
You are invited to attend BAUG's first meeting in The Bahamas! Bahamas Apple User Group (BAUG) is an independent, non-aligned bunch of ordinary people who get a real kick out of using the Macintosh computer. Both the novice and the Mac Professional will find no better source for news and assistance than your local Apple User Group. The first monthly meeting is set for October 25th. The newly formed Licensee and Property Owners Association will meet the last Thursday of each month. Venue to be announced. Stay tuned to the GB Events Calendar page. Venue: Lila Gonzalves Rom, Pro-Cathredral of Christ, The King Anglican Church Contact: David at 373-2286, 352-9751. GBI AIDS Awareness meetings, Thursdays at 4:30pm Kipling Bldg.